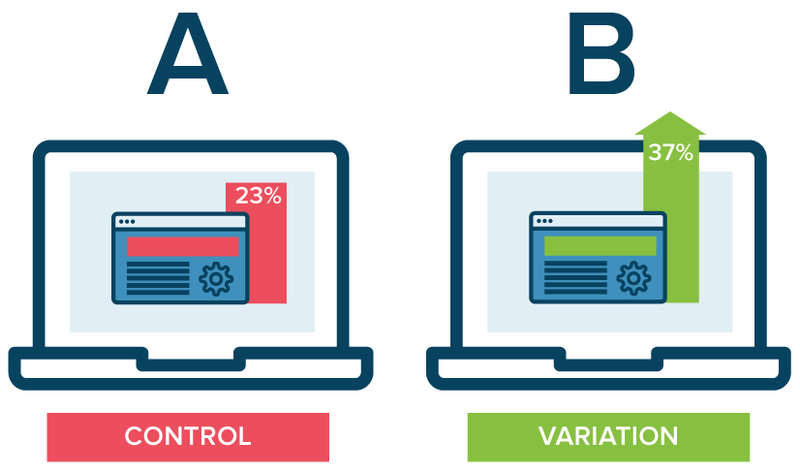 A/B testing, otherwise called split testing or form testing, is an evaluation apparatus that means to choose which variant ought to be utilized to accomplish a venture’s objectives all the more successfully. Usually utilized for websites, A/B testing has been gaining traction in the reign of mobile application design. In the A/B testing we often put a first version, version A, as the control and version B as the variant. When we conduct the test, we give a set portion the users access to the first version, while the remaining test participants are given version B. This helps to see if the changes have a measurable impact. Statistics and data is your best friend. A/B testing is similar to conducting an experiment. You do not want to conduct the test without proper data tracking and statistical analysis. Without being able to measure the results quantitatively, the A/B testing is as good as nought. Use the results. This may seem redundant, but many times, developers or project owners simply ignore the results of the A/B testing because the result is different from expected. It is important to bear in mind that unless there is a fundamental error in how the testing was conducted, the results from the test should not be ignored. Unless we are testing for design preferences, we should not change the design when doing A/B testing. This is to make sure that the test result is consistent and not skewed by differences in preference in design of the participants. Patience is important because sometimes it takes a while before A/B testing results can be gathered. A/B testing is not a short term exercise but a long term strategy that can go a long way in improving your mobile apps. How has A/B testing helped you or your organisation deliver higher quality mobile applications? Share with us below!